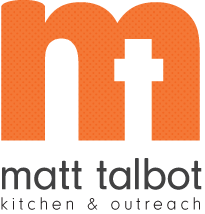 The Ground Hog may have seen his shadow, but it sure has been Spring around Matt Talbot Kitchen & Outreach with all our cleaning! On a beautiful Saturday afternoon in February, 22 volunteers (3 adults, 15 high school, and 4 middle school students) made their way from Jefferson City, Missouri to Lincoln. The group was let by Pastor Zac Wolfe from First Presbyterian Church of Jefferson City. Pastor Zac is a Nebraska native who loves to return to his roots to help and assist local organizations. This group assisted Sheri Verkamp, MTKO Housing Locator, with the Landlord Liaison Project (LLP). One of the goals for the LLP is to build an incentive pool for our partner landlords, owners, and property managers. Sheri has been assisting landlords to flip apartments and quicken the turnover rate. This helps them save time and labor and most importantly, gets another chronically homeless individual off the street. With this large group from Jefferson City, Sheri reached out to a partner landlord to see if we could assist in cleaning up the yards of the apartment buildings that house a few of the new First HOPE clients. The group assisted with raking and bagging leaves, picking up trash and cleaning the general area of two locations. If you are interested in how you can help the Landlord Liaison Project and Matt Talbot’s goal to defeat homelessness, contact Sheri Verkamp at sheri.verkamp@mtko.org or 402-477-4116 ext 104.